Every time a monopoly is challenged, people celebrate the emergence of the alternative – this saviour of sorts, especially if this new entrant has the depth to pile on the right kind of pressure on the incumbent. Lately, this sentiment has been evident as people across Africa have celebrated the announcement made by Strive Masiyiwa, the founder of Econet, that his company will be entering the media space with its internet TV service, Kwesé TV. The launch date hasn’t been shared yet, but plans that have been in development over the past 3 years were partially disclosed. These include Econet’s use of its extensive telecoms infrastructure (which is held through its subsidiary Liquid Telecom) to ensure an extensive coverage of the market; Kwesé TV’s planned focus on various forms of content including plans to also produce its own content; the multi-screen experience being sold to Kwesé TV subscribers and a very strong play for sports entertainment. Other details include Econet’s plans to hire over 200 people over the next few months to bolster Kwesé TV’s efforts to be a competitive TV service. Econet appears to have explored some very important aspects in becoming a strong Internet TV and VOD service operator. However, the question is whether or not it stands any chance against MultiChoice, the market leader in the African subscription market. MultiChoice, the Naspers-owned company, is behind DStv, MNet and Supersport. Through these hugely successful brands and services it has managed to create a permanent impression on pay TV in Africa, leveraging on a host of factors in its favour such as vast resources and experience to extend this dominance. 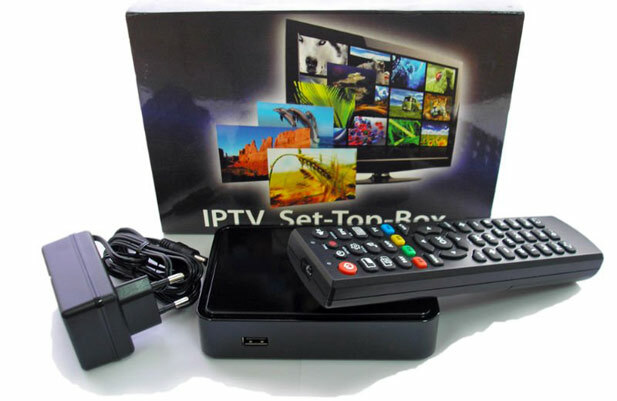 It’s these advantages that have made it difficult for upcoming pay TV services to outpace MultiChoice in the different countries where it operates. However, the excitement around Kwesé TV has stemmed from the way the Econet Group appears to be one of the well-placed entities to take on MultiChoice’s monopoly, at least from a cross-continent perspective. One big differentiator between Kwesé TV and a lot of aspiring pay TV operators is the access to capital. As part of the Econet Group, it will be drawing from a pool of resources that has been mobilised by a team which has crafted strategies and executed plans for raising capital for a multinational player. Recently this was displayed by the $500 million facility the Econet Group secured from China. Liquid Telecom, its subsidiary is also set to list on a European bourse in 2016, with part of the funds raised earmarked for investment in the support of overlay services such as VOD. This is a major consideration because an investment in TV services is resource intensive. There are considerations that need to be made for network support, updating technology to match a host of changes and of course, securing the right sort of content with just enough variety to cater for multiple sub-markets. Through Liquid Telecom, Econet has established the most extensive terrestrial fibre network across Africa and as such it’s offering fast internet solutions to pockets of Africa that have consistently been overlooked by other well-heeled telecoms carriers. It’s also Liquid Telecom that carries investments in satellite services through Liquid Sat, and according to Strive Masiyiwa, it has built a platform for Direct TV to the Home (DTH). There are also investments in African mobile telecoms which include infrastructure deployed in at least 6 African countries through mobile networks operating under the Econet banner. These give Kwesé TV a starting point for market launch. The infrastructure advantage ties in well with the changes that are happening in content consumption. The future of video content is in IPTV and all things related to the internet. Whoever controls that variable has a huge advantage in delivering services, which is one area that MultiChoice and Naspers hadn’t cornered. Like every other VOD and pay TV service without its own network, the cost of broadband a subscriber carries to get their content presents a challenge for product pricing and market penetration, something that Econet won’t have to consider as an immediate hurdle. Since it owns the network infrastructure that is necessary to deliver the TV service, Econet is in a position to zero-rate access to Kwesé TV. This is the same approach used by MTN for its FrontRow VOD service in South Africa. Doing this would mean assuming broadband costs just to push a secondary product. But in a market where competition is stiff and there is a strong incumbent that needs to be disrupted, it’s one move that Econet, as the owner of its own infrastructure, can make – something that other pay TV services can’t pull off. A lot of the negative sentiment towards MultiChoice has been triggered by its monopolistic practices that have included a series of regular price increases on its services, an uncomfortable pricing model, as well as a non-flexible arrangement for content which creates a blanketed approach for an economically dynamic market. Kwesé TV or any other pay TV service for that matter only has to appeal to the market by addressing some of these issues through its product and service approach. It’s not an easy feat, though. Curating content and fine tuning prices across the whole continent has its own headaches. Still, all that’s needed is to one up MultiChoice. Kwesé TV might seem like the pay TV saviour that the whole of Africa has been waiting for, but disrupting MultiChoice and every force backing it is not going to be easy. There are a few issues to be considered that have a huge impression on the likelihood of success. MultiChoice has been in this segment for the longest period, developing an appreciation of market trends that have helped it shape decisions around content and product development. Econet has to match this by looking for the best sort of team to handle aspects such as curation of content, product development and pricing dynamics. Kwese TV might be new, but there is no time to spend time trying to figure this out all over again like every other new VOD startup. One other strength that MultiChoice possesses is sports content. Through the Supersport brand, it has managed to craft the most comprehensive delivery platform for local, regional and international sports. By its own indirect admission through product curation practices, sports content is a major driver for pay TV subscriptions. MutiChoice’s DStv packages are moulded around this approach, with the widest sports coverage reserved for the premium packages. Econet would be smart to put this under serious consideration. So far, promises around Kwesé TV seem to imply that this will be the case though some people have questioned just how far Kwesé TV can deliver on those promises. Some sources close to MultiChoice have pointed out that Supersport has secured rights for major sporting drawcards that include international football such as Barclays Premier League and La Liga. Kwesé TV has to find a way to get its hands on the same content if it is to be at the same footing as MultiChoice. All things being said, there’s a lot that Econet has going for itself and its new baby Kwesé TV. With the right skills, a smart execution as well as a strategy that considers the failing points of other pay TV services as much as its own strengths, this could be the strongest challenge to MultiChoice. kwese tv is a figment of strive’s imagination. he is a dreamer.no that’s not a jospeh compliment. he has no idea about running such a service on the content. content is his biggest killer, as supersport have signed MEGA (Chinese style) deals that give them exclusive rights to content that people WANT to see. Copa Del Rey is like BACOSSI and as Oprah would say, you get one, she gets one, we all get one. kwese will be only accessible by those who have fibre internet and they already can afford the $85 dstv package that gives them all they want, as well as netflix and a host of other services that someone with fast internet can enjoy. i suggest you tell strive to get off his high horse and to forget and smile about such a service anytime now. call me a naysayer or what you will, but what has strive managed to launch successfully and defeat a serious player? econet and ecocash are playing against govt, so that dont count. Econet have earthlink stations, does this mean anything to you? Victor dai wangovata hako urote, coz haufariri zvinoitwa nemu African. Siya vaMasiiwa vaite zvanoda nemari yavo if you cant afford the service, pliz watch ZTV. Murimi wanhasi. What content will Kwese show? Dead in the water…the water from the dead bottled water project. The key word in this whole article is disruption – Nigel was very clear. Disruption is not a function of resources or assets you own – its a function of capabilities and collaborations which you can leverage. The world’s largest taxi company Uber owns no cars, the worlds largest media company Facebook, owns no content and the world’s largest retail company Amazon or even Alibaba own no inventory. To think Econet will compete exactly using the DSTV business model is strategic naivety or tactical ineptitude if not both. Econet has a long history of being an innovative disruptor and game changer – and one can only imagine to expect the same. Innovative disruption only works when the new entity targets low end users then moves up,when Netflix came into the game it was for the low class and block buster went bust.do you think people who stay in chitungwiza,budiriro or any high density suburb will go for zol instead of tel-one which is much cheaper? Kwese haina market mu ghetto coz zol is too expensive, we can’t stream kwese ne tel one either,Kwese haina market kuma Dale coz the already can afford dstv.don’t forget kuti supersport is the major reason people subscribe dstv.iyo econet is a victim of innovative disruption it has been struck a heavy blow now they are panicking going into various business ventures just to stay afloat.dstv will always be dstv haina substitute. amana ini ndiri kutoshaiwa mari ye data re whatsapp… mozoti ndichaona champions league ne data? nyangwe iyo liquid telecom, ndo paichatipa data remahara? They will succed cz everyone hates dstv. In zim alone where we pay in forex they raise prices every year yet in sa they dont meaning the only market they respect is in sa the rest of us subsidise them. Blatant lie! Does everyone really hate DSTV? I can safely bet you’re one of the numerous Zimbos who religiously pay their subs, month in month out to access premium content. Maybe because there is no real choice right now? If Kwese delivers on content, convenience and price (won’t happen over night but still), some of those religious dstvians might convert to kweseism or worship both! it’s coz there is no other option. They are skinning us alive here in Kenya. Them being a monopoly is a disgrace. Do u really think Zanupf is going to allow this to lift off in Zim legally???? I don’t think so. That is why they are going to operate from Jhb. next door to Dstv and from Dubai. How can you call this a local product anyway? More of an Exile Product… But always follow your dreams… and prove us wrong… Just please install fibre to my house for free @ an affordable fee uncapped as times are tough..
Their launching from a foreign land is that simple Gary. Remember in Zimbabwe someone is trying to confiscate their infrastructure for a song. mpetitor I will leave them coz sometimes bayasijayela kubi. ambitions idea from an ambitious man! We are eagerly awaiting. Strive for the best Mr Strive. iNTERNET TV WILL NEVER RIVAL MULTICHOICE IN THE NEXT 10 YEARS HERE IN ZIMBABWE. Am happy for such novel ideas by Econet.Only armchair critics look at the impossibilities.This project is written success all over. kwese is a futuristic idea,well ahead of our time. Internet bussiness is the next best thing of the 21st century. Don’t be left out. Kwese TV will knock down monochoice. The monopoly of Multichoice is so huge..
Show all EPL, LaLiga and Champions Leagues matches of the day as Dstv always do that u can compete with them. Amen. In Africa here we want u to telecast more of EPL, LaLiga, Champion’s league, FAcup, Copa del Ray etc instead of those NFL,NBA,Ruby,Tennis,Cricket and so on cos Africa love soccer.